Only your pet is placed in the crematory for the entire duration of the cremation. 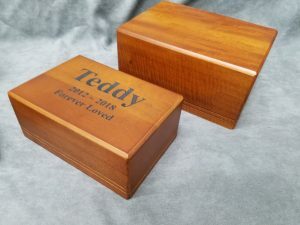 If the cremation is started early enough in the day (2 PM M-F & Noon Sat & Sun), the ashes could be picked up that same day, otherwise on the next business day. 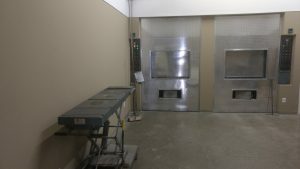 Private pet cremation’s are performed Monday – Friday, 9 AM – 4:30 PM and Saturday and Sunday 10 AM – 2 PM. WE CANNOT BEGIN TO DESCRIBE HOW DIFFERENT WE ARE THAN LEAVING YOUR PET WITH THE VET AFTER EUTHANASIA. IF YOUR PET COULD DECIDE, THEY WOULD CHOOSE OUR CREMATION EVERY TIME. WE HOLD PETS TO THE HIGHEST STANDARDS, THEY ARE TREATED LIKE OUR OWN FAMILY IN OUR CARE. A wonderful and gentle veterinarian will come to your residence and perform the euthanasia on site. You, your pet, your family can be kept in a comfortable environment for what will be a very sad and personal experience. You may also wish to have the euthanasia performed at our location. We can also arrange for the veterinarian to perform it in our family room. 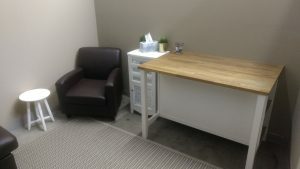 The appointment takes lasts about 45 minutes. Before the vet leaves, they will make a clay paw print impression for you. Families can either then take their time and bring their pets in to our office, or we can arrange for your pet to be transported back to our office. The veterinarian does not take your pet, a different staff member would arrive either immediately after the appointment or however long you wish before the transport would happen. Once at our office, our crematory is on site and could begin immediately totally 100% Private. *Transportation & Cremation are separate items, not included in the cost of euthanasia. First 15 road miles from Pet Cremation Services of MN $125.00, add $5.00 per mile after. 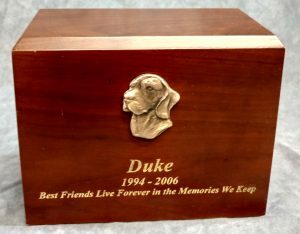 We have a large selection of pet urns in various sizes, necklace pendants and other memorials. See our products page. 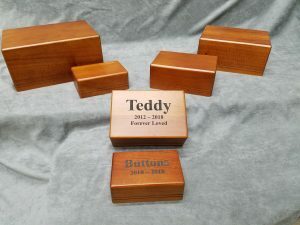 Engraving: $50.00 per side – Applique $35.00 – Customize an urn with Engraving and an applique. Please let us know ahead of time if you wish to be present at the start of the cremation so we can guarantee availability of the crematory at the time you arrive.